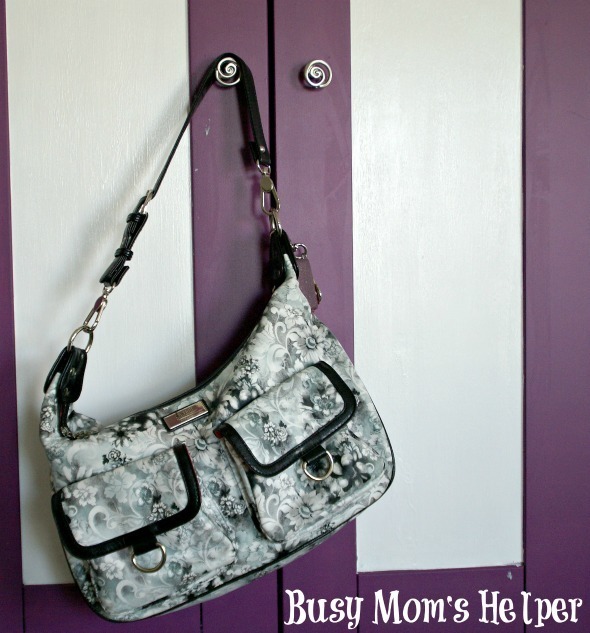 Danielle from Busy Mom's Helper is here today showing off her handbag. Hey y'all! 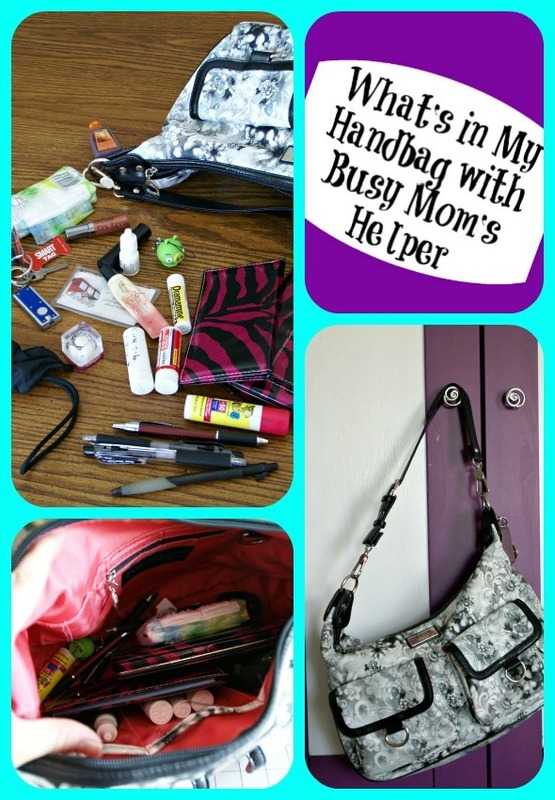 I'm Danielle from over at Busy Mom's Helper, and I'm so excited to share with you today! 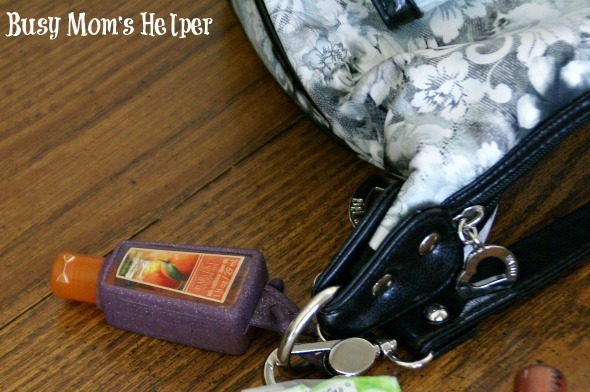 Honestly, I had no idea WHAT was in my handbag, so when I went to do this post I had a bit of a hesitation. 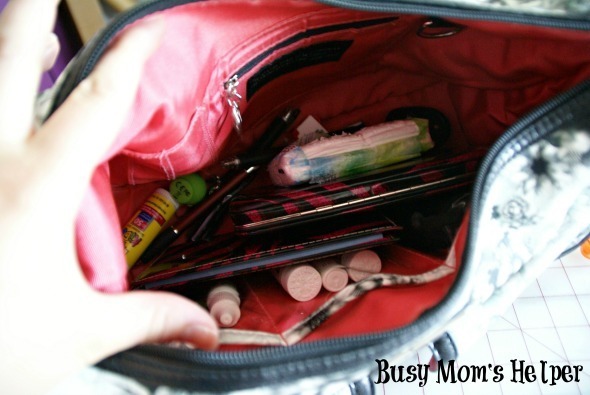 Luckily, there weren't any used tissues, millions of wrappers or other disgusting random things my kids tend to enjoy hiding in my bag. Since it's so much more convenient than a garbage can, right? Ya, I didn't think so either! 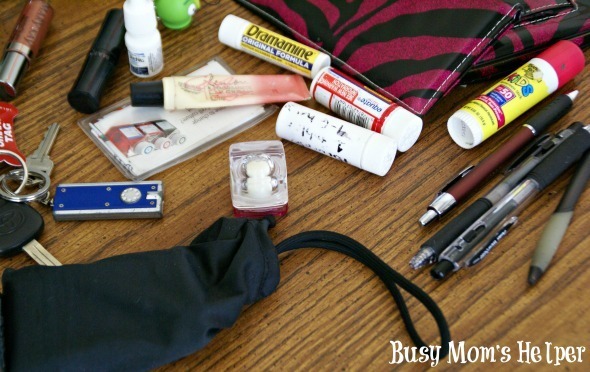 So, without further ado....What's In My Handbag? I love that this bag is HUGE (not quite as large as my diaper bags were, but still plenty of room to hide a ridiculous amount of junk stuff). I was seriously (and happily) AMAZED at how organized it appeared. I swear I didn't clean this out first...and swear this actually isn't how it normally looks. Just caught myself on a good day, I suppose! Softcubes Lip Gloss.....LOVE this stuff, by the way! 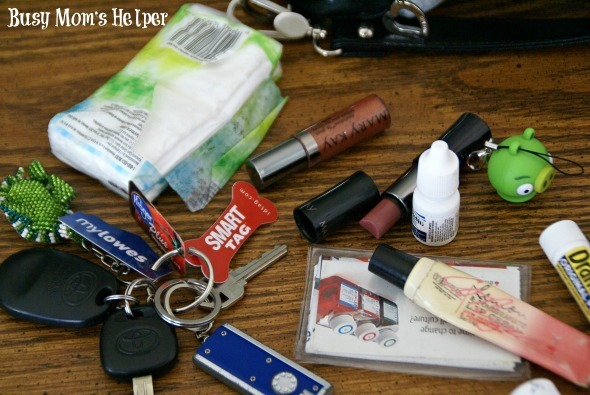 And last, but certainly not least, mini Hand Sanitizer.....often a momma's life saver! 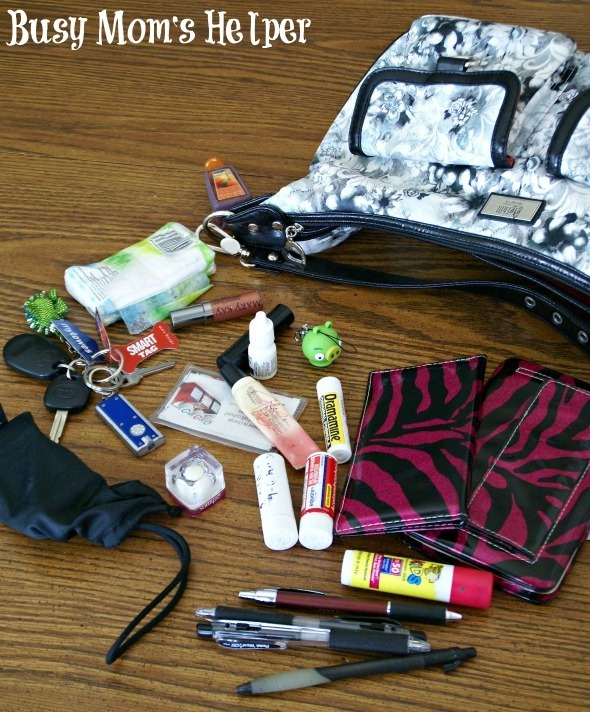 Yup, that's the mass of stuff I carry around all the time....usually plus a crumpled pile of receipts, emergency snacks and who-knows-what else! 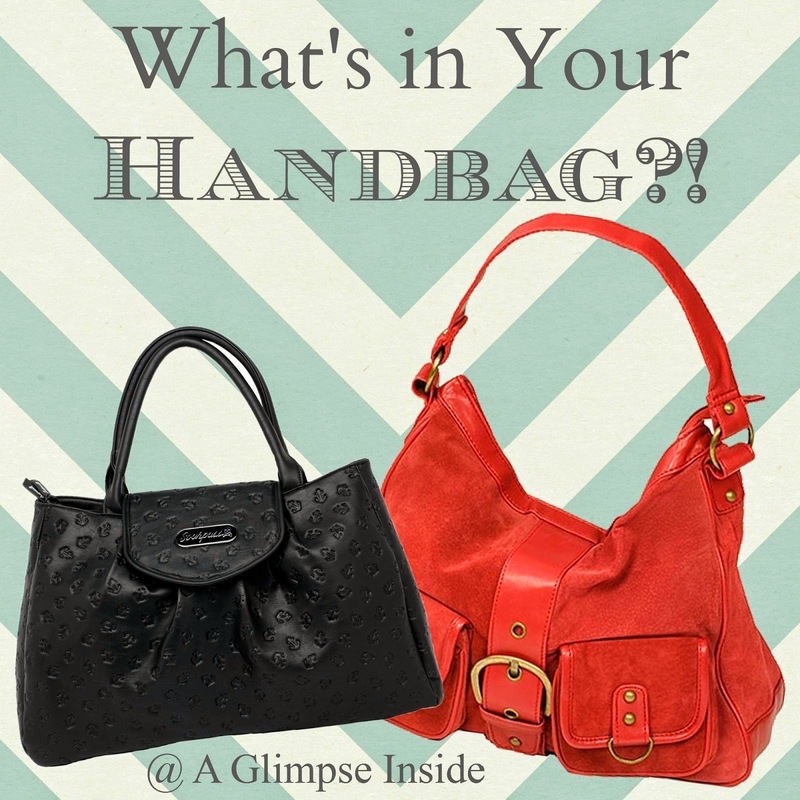 Thanks so much for sharing your handbag Danielle! !